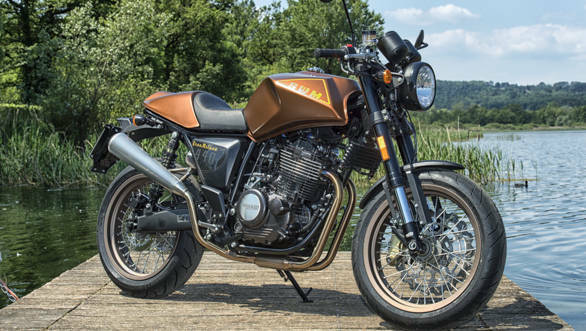 The SWM Gran Milano 440 is one of the newest of the products from this little Italian bikemaker that restarted operations just two years ago. 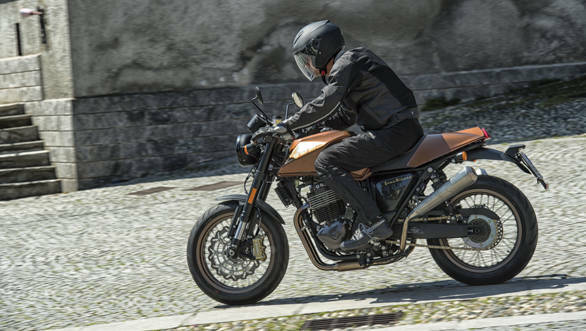 The 445cc engine gives the platform its name and the series includes the SWM Gran Turismo which is a small upright naked bike, the SWM Silver Vase which is a scrambler-ish version of the theme and the cafe racer is called the SWM Gran Milano. I wish it was a grand motorcycle though. 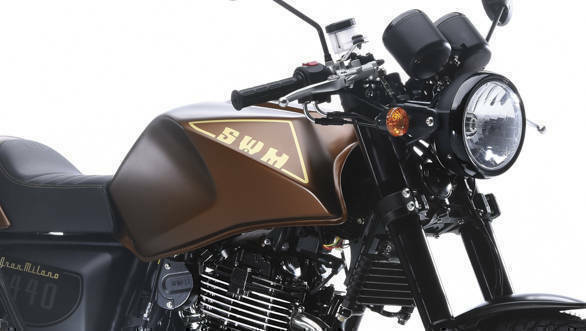 You see, SWM received a handful of Husqvarnas that were under development or in production when BMW Motorrad handed the brand over to KTM and SWM picked up the factory and facilities. But the Gran Milano comes from the Shineray firm, a Chinese company that financially backed SWM back into existence. 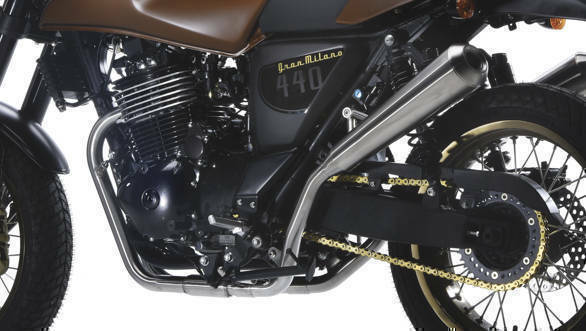 While one SWM official reiterated that the engines were made at the facility at Biandronno outside Varese, the chap doing the factory tour clearly noted that the 445cc engine comes from China pre-assembled and is slotted into the frame. And that, on its own shouldn't be a problem. Because the engine is an oil-cooled single cylinder with fuel injection and it's makes 30PS as well as 36Nm. It's not too heavy a bike either. But the engine does not feel too powerful and has a fair bit of vibration too. This means a lot of gear changes to get work done and a fair risk of buzzing hands when you climb off the motorcycle after a long ride. The suspension  Fastace adjustable upside down forks and twin rear shocks  and the single downtube cradle chassis, similarly, are middling at best and the ride quality is firm thought big bumps are handled well. The cornering experience is adequate for this class and surprisingly Brembo brakes, again, lack bite and can feel wooden. You keep adding more fingers on the brake lever as time passes - always a sign that the effort to braking ratio isn't natural. Worryingly, the other versions have lower spec components and the Gran Milano does actually have the most componentry. 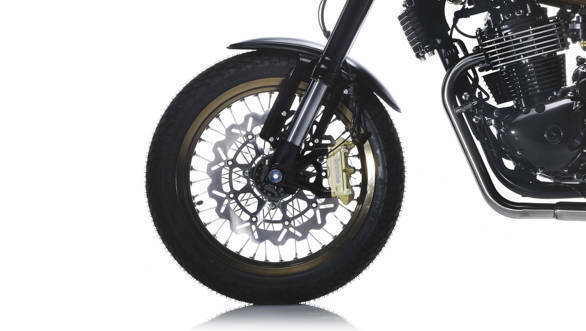 What is likeable is that the overall look of the motorcycle toes the cafe racer line without blending in and I really do like that rear cowl with its inset triangular tail light. I also like the idea that the Gran Milano is a genuine single-seater and there are no passenger footpegs at all. Overall quality is reasonable but there are places on the motorcycle where the bike could stand for a lot of improvement. Motoroyale did evaluate the Gran Milano and the Silver Vase for India but have decided not to pursue them for the moment. 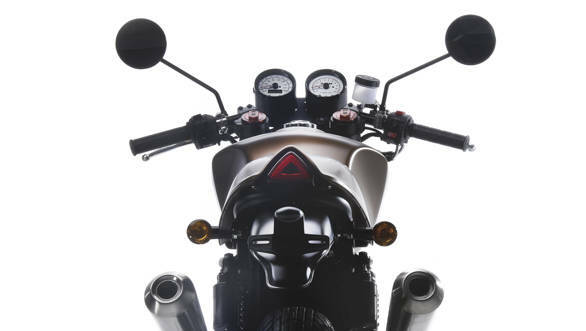 Which is probably a good thing because while the SuperDual will enter a space where there is buzz, demand as well as a lack of product, the Gran Milano will have to face shark-infested waters where off the top of my head, at least three or four products will comprehensively outperform the SWM 440. Leaving pricing the only possible product strength - never a good starting point.